Is it worth it? Definitely! The cottage is really nice, it can be built on standard or premium residence, the premium residence has a library at the end of the garden! NOTE: if you build on the mysterious island you will not get the wizard house grass or fence, it will be the normal grass and fence. Where can I find the wizards cottage? Why is it always daytime at the wizards cottage? It just is, it isn’t a major problem though! Yes it’s the same thing. It took me a while, but I finally realized I had to touch the table, not the chair, to sit down. Hi. 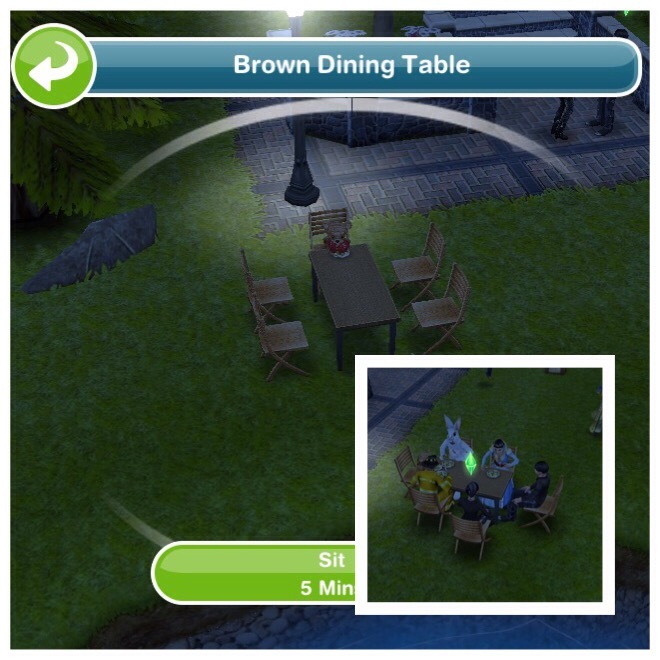 For whatever reason, my sims refuse to sit down at the dinner table in the park. Any suggestions? I cannot record a video apology (to werewolf) and I even used my LP’s to buy the same computer shown. Any idea why? sadly i missed getting both to sit down before others did, what do i do now? 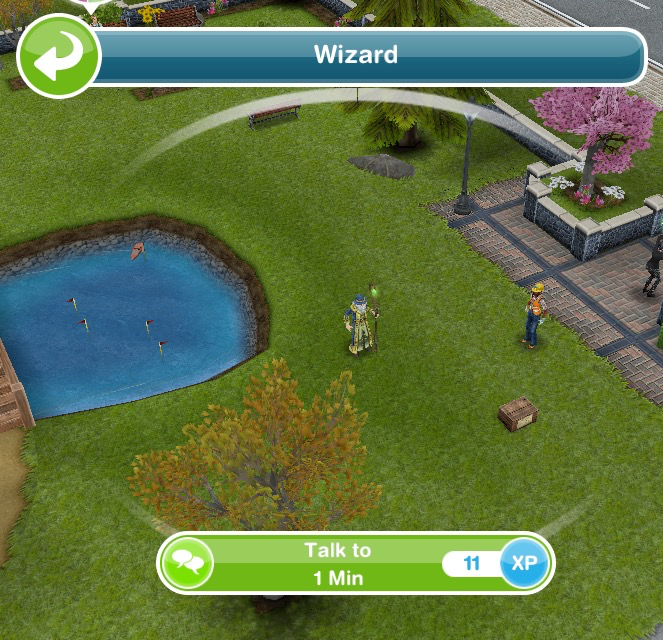 Hi, I’m on the last high five the wizard but I cannot find it anywhere and he is not at the park or cottage or sims house? I tried waiting a few days and looking again but he’s still not there. Do you know where her is or what I can do? Your blog has been so helpful; thank you. I still can’t get two sims to sit at the table. The characters are always there. They will stand up for a second before sitting down again, but it’s not enough time for me to get the two Sims to beat them there. Any other ideas? Unfortunately leaving the park, going back and quickly sitting down before them is the only solution I have heard to this issue, sorry! I got it done! Whew. Hi! 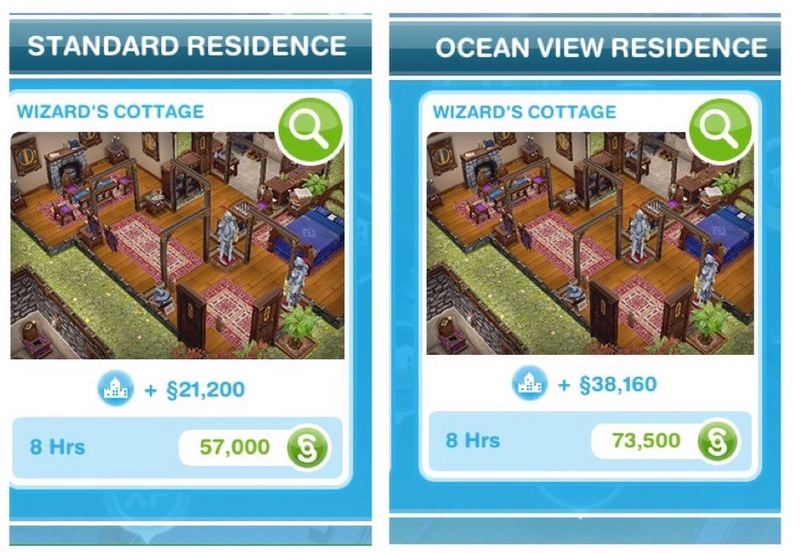 I have to high five the wizard but when I use the Crystal ball to teleport to the cottage he is not there, I’ve cleared the cottage (made sure no sims were there) and retried teleporting back and fourth, and tips? I can’t finish the quest..my sim left the cottage like it said but it didn’t complete the quest..what do I do? Have you tried returning to the cottage and leaving again? Thank you so much for that tutorial! 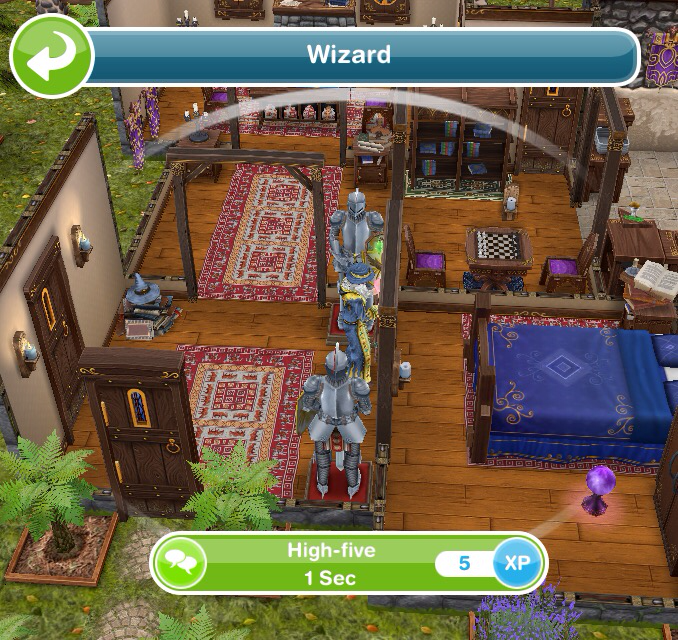 My wizard is not as the cottage to high five him. What do i do? 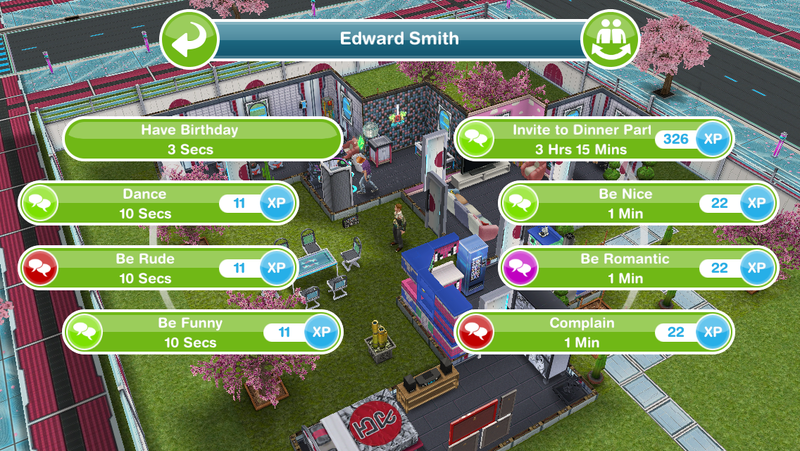 All you can do is look around simtown for him, when you find him he should go back to his cottage. I just want to say I hate the part where they have to sit at the table. I have left and came back multiple times, but I cannot get more than one of them to sit. If leaving doesn’t work for you unfortunately you will need to contact EA to see if they can fix this issue for you as this is the only solution I have heard to this problem, sorry! I ended up just leaving it alone for a few hours and then trying again. It worked after I came back to the game. So I didn’t sit down In time for the guests, so I took the advice, left the park, came back again and the guests were still as they were. I don’t know what to do. I’ve tried leaving myself, and myself and my sims, and just my sims, and nothing makes them leave so I can sit down. I don’t know what to do! You have to wait at least 5 minutes after they sit down. When you return, they’ll stand up VERY briefly — a second — and that’s your window to get in. (Summon, summon, tap table, tap join). I contacted EA about it but never heard back. I have the wizard at the park with the ! Bubble, when i click on it it shuts my game off? Any idea’s? I have game up to date. Can you not buy the bed from the wizard cottage? I’m on the potion Brewing event, when I click on the Coldren it only says brew invisibility potion I’ve done it about ten times now and just does the same one everytime! All you can do unfortunately is keep going as you have to unlock the first 3 potions before you can unlock the next option, this hobby seems to take forever without LPs! 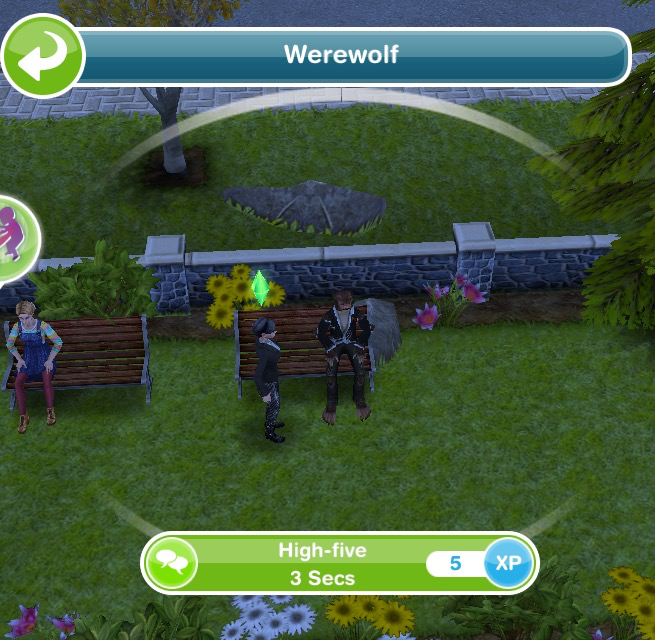 I have a big problem with the show the date’s response..my werewolf has disappeared he is not in the park anymore ..i was trying to do this step and then something happened and disconnected the game when i opened it again the werewolf has disappeared what can i do now? 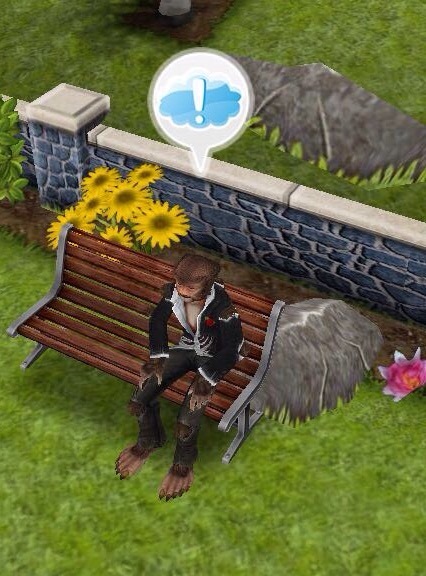 My werewolf has disappeared as well. Now there is a guy in red by one of the boxes- but you cannot interact with him. I am 99% sure I showed the dates response- but it’s still stuck on that 😦 any advice? Hi! Your blogs are so helpful! Just wondering – and this might be me not being observant. Did you noticed that whilst doing This quest the trees on the town map all sway with the wind – I don’t remember them doing that before. I’ve just finished the Easter update and wondered if this was a new feature the bought in or just because the magic of this quest? It’s happening during the dreaming part of that helps. Thanks! I’ve just had a look and I think this was added to the latest update, although I never noticed it before you asked! 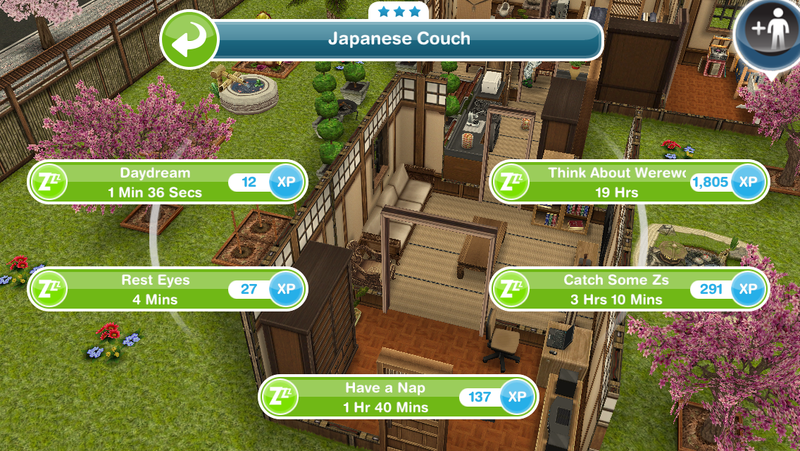 That was very helpful and I like playing the Sims free play. Are you allowed to choose the next quest you want once you finish a quest? can we complete the test within the time limit? 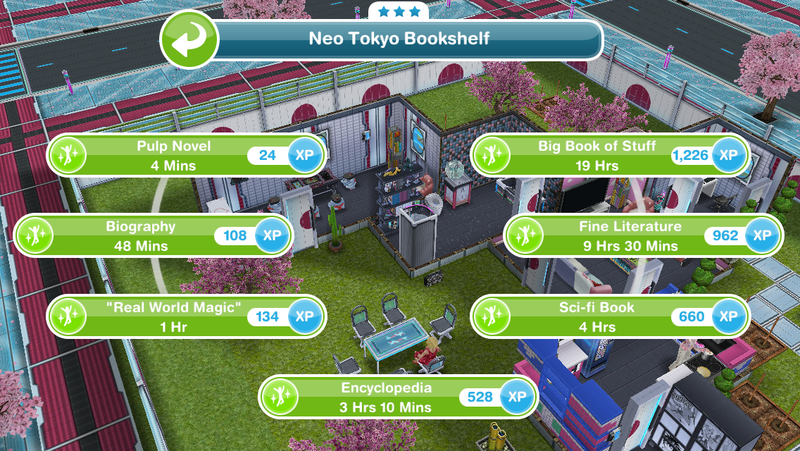 In the post there was a link to this page: https://thegirlwhogames.wordpress.com/2016/03/08/the-sims-freeplay-how-much-time-does-each-quest-take-to-complete/ which tells you that back to back this quest would take you 4 days 21 hours 33 minutes 4 seconds so yes it is possible. Hello again! I notice in the preview to build the cottage on the island, the correct grass and fence are shown. Will they still show up as standard once built, do you know? Just wondering if the game changed. I believe it is still the standard grass and fence as I haven’t been told that this has changed. Im following your page for a while now and it really helped me a lot already, so keep up the good work! I found a solution which might make easier to find all the potions within the time limit. I can use 1 lp to finish the action when theres still 1h59m left. Which is technically half lp price for the last two hours. Basically theres no difference if i use 1 lp for a few mins remaining only or almost two hours remaining. This can make the potions getting finished faster at a fairly low lp cost. The 5h30m potion becomes only 3h30m. Also i have a question: The furnitures and other items making up the wizards cottage. Are they available from the build mode store? Or they only come with the cottage if i build one? Great tip there- that’s how I tend to complete most of the hobbies! Have you tried restarting your device before clicking on it? Hey, sorry for asking this but is the wizard’s cottage free? It says in the post that is isn’t free, it costs simoleons. 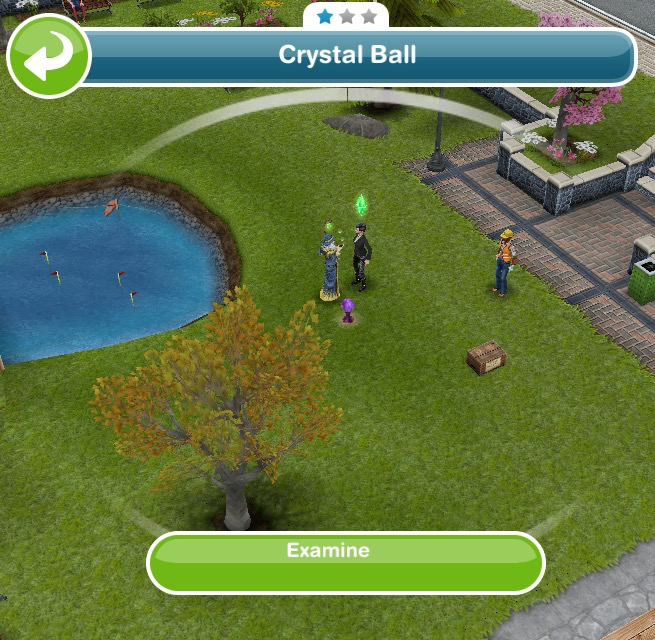 Every time I click on the crystal ball in the park, my game crashes and goes to my home screen. The wizard isn’t even next to it. Now I’m stuck on that quest and I can’t do other ones. I don’t want to delete the game because I worked hard on that town. Any tips? Try restarting your device and try again, that should stop it crashing for a while. Hi! 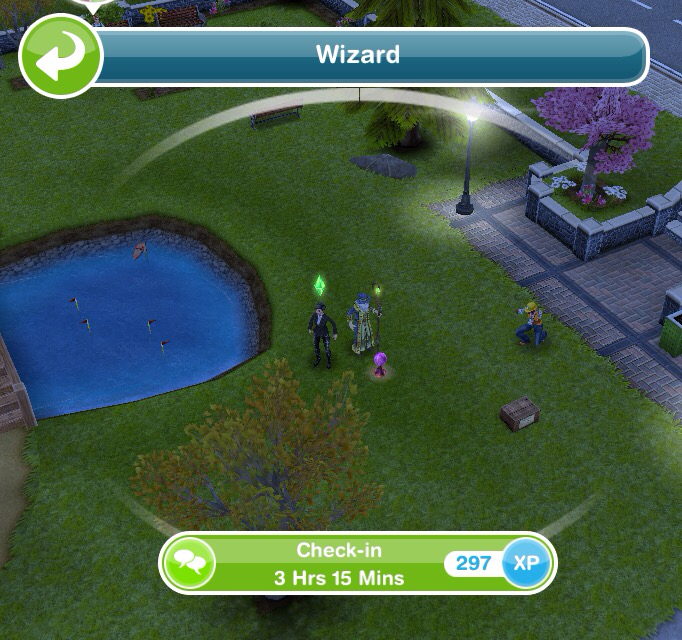 I was on the task to Tell the Wizard About the Real Magic, and I couldn’t find him anywhere on my town. 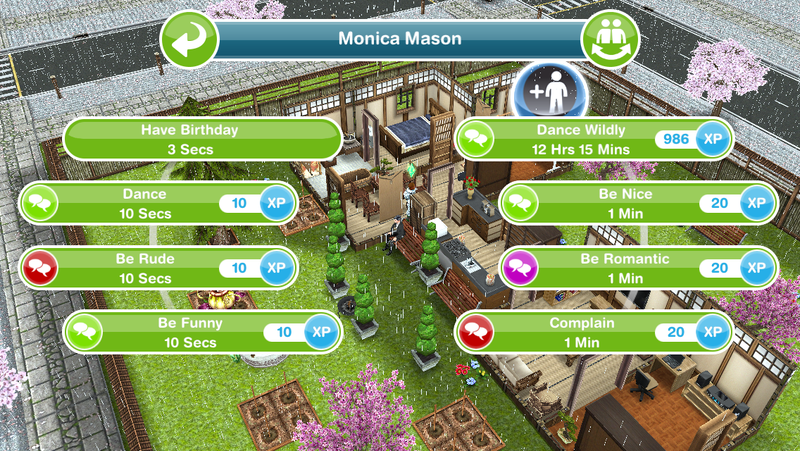 What I did was close my game, restarted my device, reopened the game, and got my sim inspired (i.e., made sure all their needs were maxed. Food, sleep, hygiene, etc. ), and then looked for the wizard again. 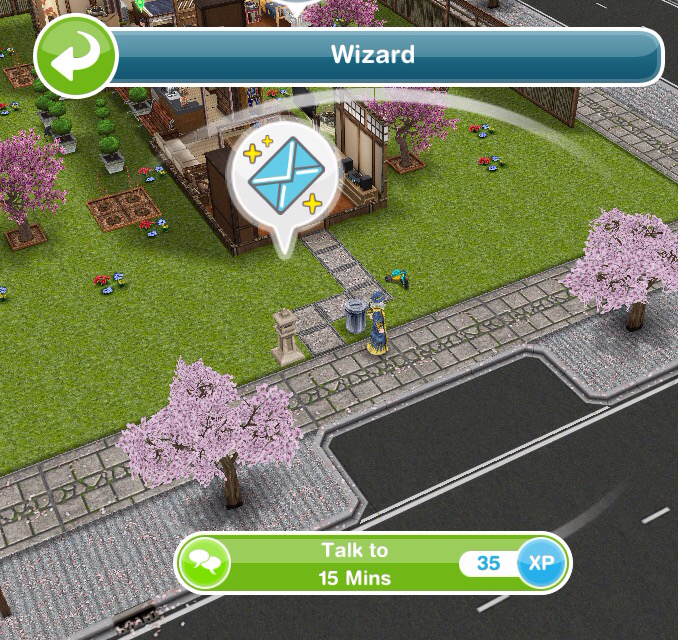 I found the wizard in the park. It may not be the same place for others, but I found him. I am not sure if it was the restarting of the device, or the rebooting of the game, or if it was inspiring the sim, or any combination thereof, that triggered it, but I thought it might benefit others if I shared what I experienced. Does the fence and grass still change if you build it on mysterious island? Im asking because i built the haunted house on mysterious island and the fence and grass didn’t change? 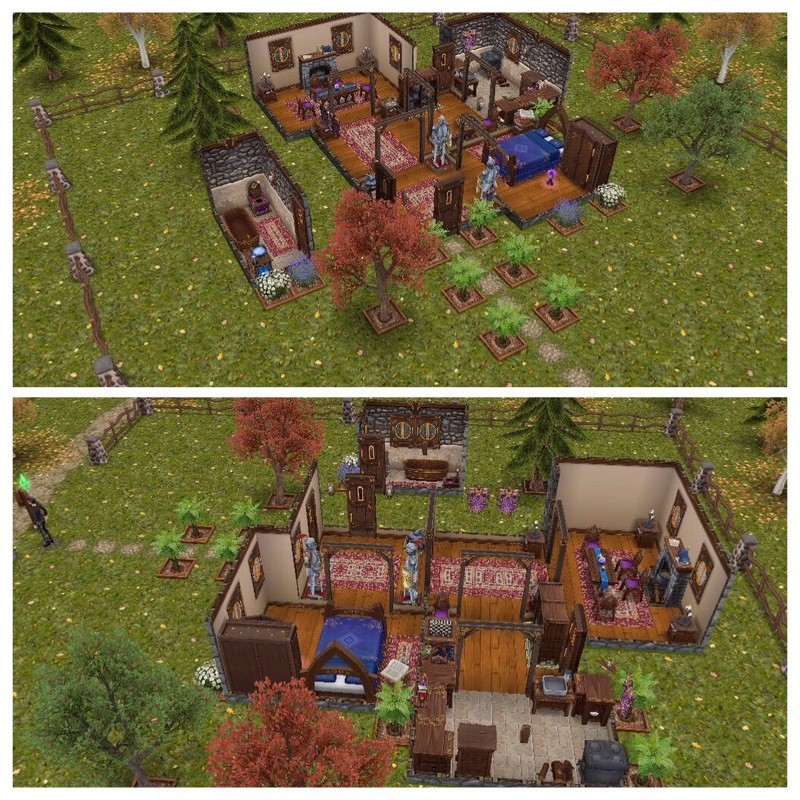 I was planning to build the cottage next to the haunted house but i dont want to waste money if the fence changes. I believe the fence and grass still change, I’m not 100% sure because I haven’t built the wizards cottage recently but I haven’t been told any different. Dreaming of magic now takes 21 hours and 30 minutes. I just thought I’d let you know. What was the star rating on the bed you used? I already finished Book of Spells and had sorcerous supplies but I cant find the wizard in the park to start Saved by the Spell. Help? Just keep checking back at the park, he should turn up at some point. I have read that after the last update if you build the cottage on the mysterious island you will get the wizard house grass and fence. It’s true??? No idea! Unfortunately I can’t build it every time there is an update, I have to wait for someone to let me know if that has changed, sorry! Hi ! I Know I’m Probably Really Late But I’m On The Last Step Which Is To Leave The Cottage. I Left But It Still Hasn’t Closed The Quest. What Should I Do ? 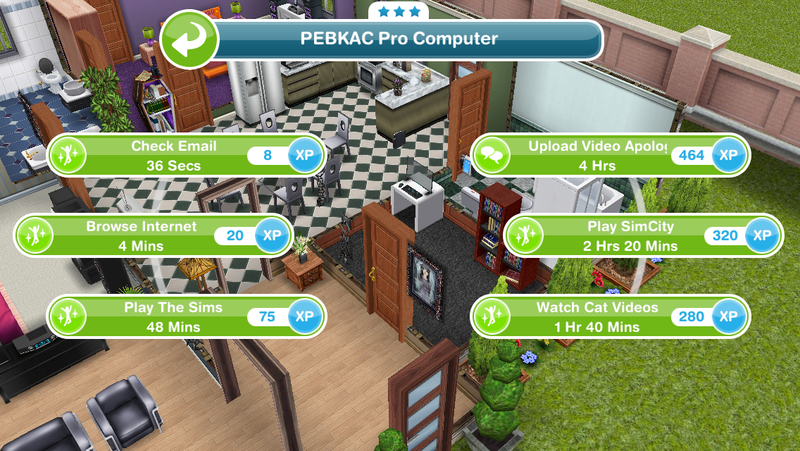 Make sure all your sims aren’t busy completing any task, that usually makes the game realise you have finished the quest. Oh no! How frustrating! At least you didn’t lose the whole game! I find it best to upload to the cloud each time before I close, this should avoid you losing progress in future. The potion brewing cauldron can be brought from the promotions r us store or the sorcerous supplies store. 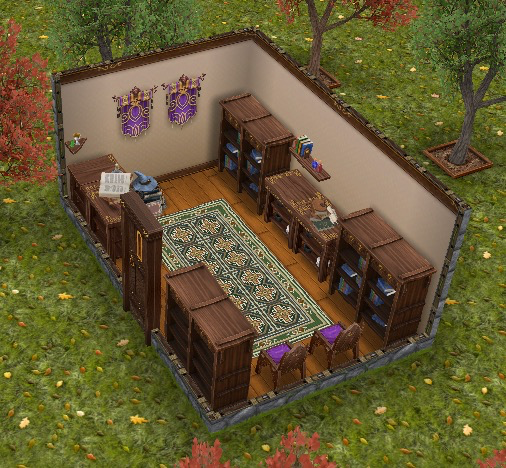 The wizards cottage will be available in the house templates when you go to build a new house. Can I choose any of my sim characters to do this Quest? or it has to be those sim who did previous quest about magic? (Quest that give Dragon as pet). and sorry my English is bad but your page is really help me, Thank you so much. Any of your sims can do this quest, it doesn’t have to be the same one. You’re welcome and your English is good! Thanks so much for helping me. Somehow I am doing both of the quests at the same time. For this quest it is raining like crazy. 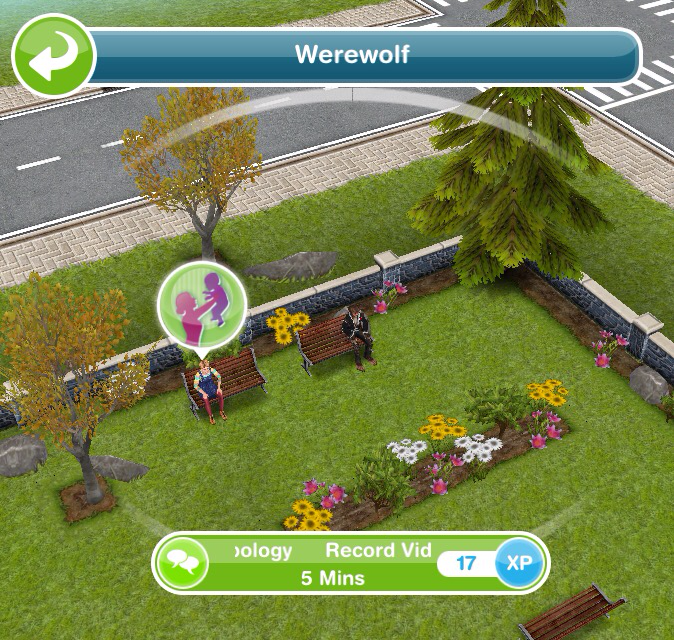 Another sim is working on the spellcasting. Really love this game. You’re welcome. The spellcasting hobby isn’t a quest so you can do them both at the same time. Just so you know when you complete the saved by the spell quest the potion brewing hobby will start like the spellcasting one did.